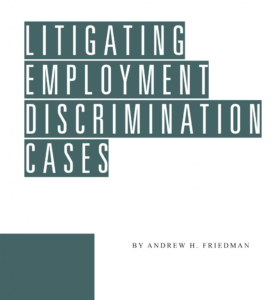 March 5, 2009 – Los Angeles, California — Helmer Friedman LLP filed a nationwide class action lawsuit against Citibank for alleged unpaid overtime and other alleged violations of wage and hour laws. The lawsuit alleges that Citibank failed to pay its nationwide Bank at Work Relationship Managers overtime and that it also failed to provide its California Bank at Work Relationship Managers with meal and rest periods and itemized wage statements as required by California law. Anthony Lewis of The Lewis Law Firm and Andrew Friedman of Helmer Friedman LLP invite witnesses with any information to contact us.